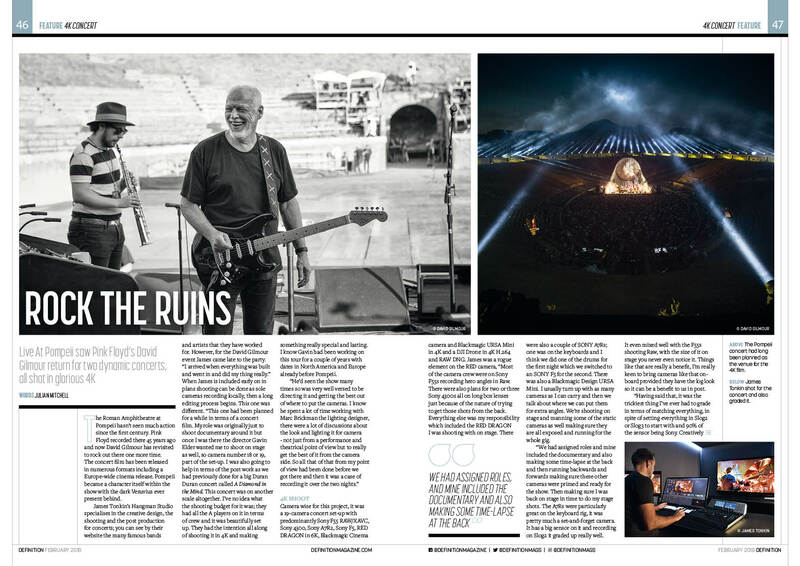 The February 2018 issue of Definition Magazine has an interesting, if technical, article about the filming of the David Gilmour Live at Pompeii concerts back in July 2016. The article takes a detailed look at the equipment used for the brace of shows in the iconic Italian venue, and the considerations for filming. It also takes a look at the process which follows filming - it is clearly not a simple thing getting footage from vastly different bits of kit matching sufficiently to give seamless edits and a cohesive feel. The article includes lengthy input from James Tonkin at Hangman Studios, who details things for the readership of this publication (which is aimed at professionals in that sort of field). It does demonstrate (if such a thing is required) the amount of care and attention which was put into every aspect of the filming of the concerts - something that they could only do that time and reshoots after the event were of course out of the question. 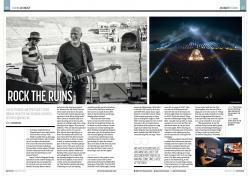 The publishers have now put the article online, and it can be read over at the DefinitionMagazine.com website. Many thanks to Julian Mitchell from Definition Magazine, and to Colin Sanders for his generous assistance.